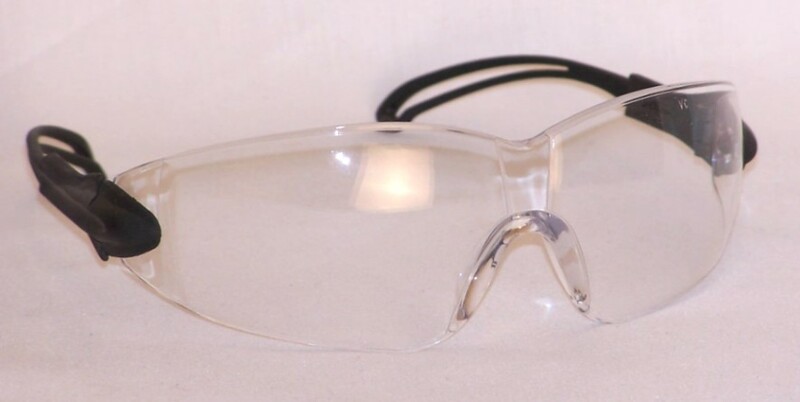 Premium safety glasses with black temples and clear lenses. Ratcheted and extendable nylon temples to help assure a better fit. Frame-less. Sporty and stylish with wraparound lenses for maximum visibility. 6" width from temple hinge to temple hinge. Eyelet holes in temples tips for use with breakaway glasses cord (not included). Meets ANSI Z87+ safety standards.